Come down to Island Mazda near Jackson Heights, NJ to experience the all new, innovative 2017 Mazda CX-5 Touring. 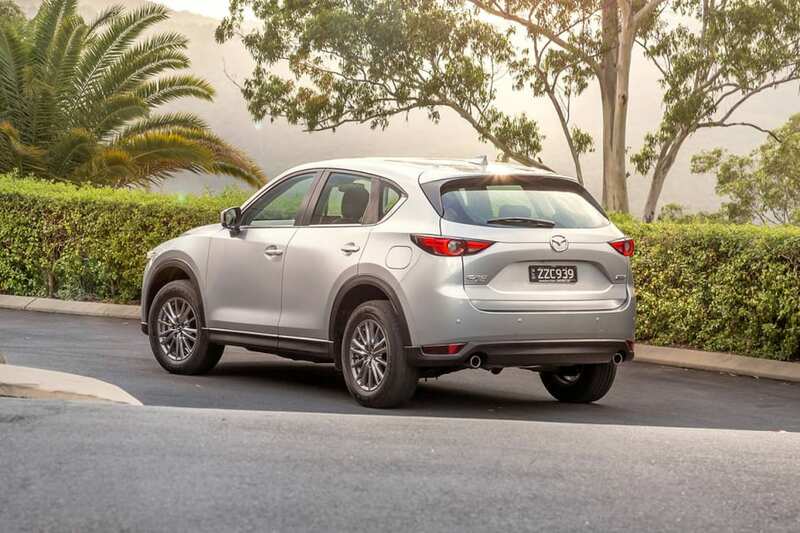 The CX-5 Touring is filled with impressive technologies designed to keep you safe and connected. Based on front camera identification in conjunction with navigation data, Traffic Sign Recognition recognizes and displays traffic signs such as Stop, Speed Limit and Do Not Enter. Alerts are easily viewable at driver’s eye level in the Active Driving Display. Available Mazda Radar Cruise Control with Stop & Go function works within a set speed range to help maintain a safe following distance from the car ahead, alerting you when it senses your vehicle fast approaching. If the vehicle ahead stops, your vehicle will automatically stop and hold in a standing start until you resume driving. An alert function lets you know when the car ahead has pulled away. Weather and road conditions can change in an instant. That’s why available i-ACTIV AWD predicts when all-wheel drive might be needed, monitoring everything from outside temperature to throttle input and braking patterns. It then preemptively optimizes torque distribution to help curb traction loss. You may never even notice the change. Which is exactly what Mazda intended. Small details can make the biggest impact. This kind of thinking inspired Mazda engineers to spend years developing SKYACTIV-VEHICLE DYNAMICS with G-Vectoring Control — a subtle new technology standard on the all-new CX-5, and designed to help achieve a smoother, less fatiguing drive. When cornering, on initial turn-in and throughout, the system works seamlessly by adjusting power delivery and shifting vehicle weight. The only thing a driver will notice is how great the drive actually is. We wouldn’t have it any other way. With the available intuitive Active Driving Display, vital information such as vehicle status, current speed, and route guidance is projected onto the windshield. Pertinent data is positioned in your line of sight and allows you to better adjust your focus—ultimately minimizing distractions while driving. Is it possible for something to transport you without moving? It is, when it’s designed for you, the driver. SKYACTIV TECHNOLOGY is at the center of the Mazda driving experience, consisting of the body and chassis. The framework incorporates ultra-high tensile-strength steel in critical areas to help make it lighter, yet stronger — ultimately making for a more enjoyable drive. Stop by Island Mazda near Jackson Heights, NJ to test drive the 2017 Mazda CX-5 Touring. You can also browse our online inventory of CX-5 Touring’s here. We look forward to doing business with you!